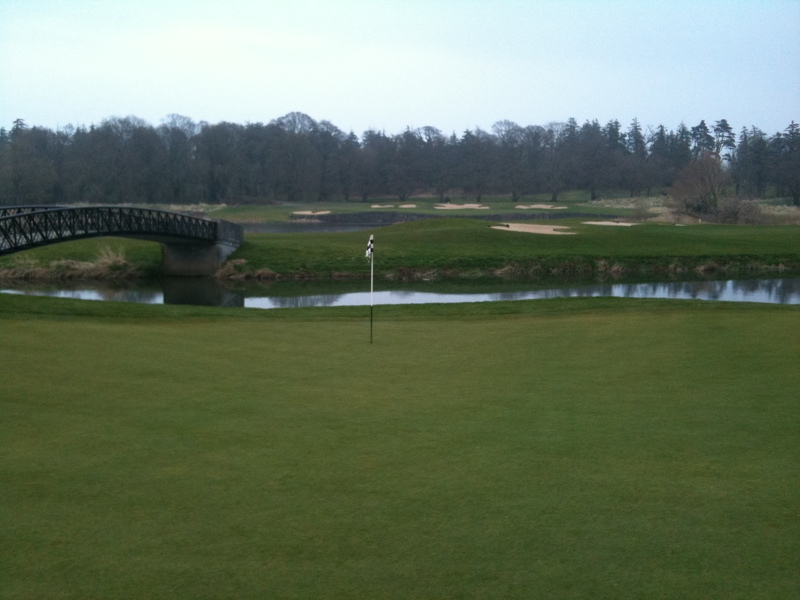 One of my all-time favourite places on the planet, the amazing Adare Golf Club, is due to close on Wednesday 20th January 2016 for a course revamp while the awesome Adare Manor itself will also get a revamp including a proposed 40 new bedrooms along with a ballroom which is due to have a capacity for up to 350 guests. The plans for the golf course include some course redevelopment, due to be under the guidance of legendary golf course designer Tom Fazio, while the clubhouse will undergo extensive refurbishment. Interesting times indeed in County Limerick and as my good aul buddy Ollie Ryan said recently – “the old diamond is just going for a polish“! Since local Limerick businessman JP McManus bought Adare Manor last year there has been much talk regarding what his plans were for the fantastic golf course, manor house, clubhouse and the overall estate as well. Rumours of a second golf course among other things abounded but now we know that the legendary Limerickman is investing further funds to turn Adare is something even more special that it already is, along with many other people I simply cannot wait for it to re-open! Having worked at Adare for 6 years, from 1996-2002, I have had first hand experience of how special Adare is – as an employee and then over the past few years as a very happy customer. Adare Manor Hotel & Golf Resort has everything – an already phenomenal golf course (the last ever design by the one and only Robert Trent Jones Snr), a marvellous manor house that is a very unique place to stay or even visit briefly and facilities clubhouse and practice facilities as well. There is also something quite fantastic about Adare village, which ties in so well with Adare Manor itself. Many a night we spent in Pat Collins Bar spending our wages from Adare Manor in Adare village! We still spend our money in Collins Bar but it’s generally earned outside of Adare these days! Featuring some of the finest holes to be found on any course, especially the near perfect par-4 13th and the best finishing hole in Irish golf in the par-5 18th, there is much the Irish golfing public and wider golfing public at large will miss while Adare is closed during the redevelopment work. It is tough to know exactly what JP McManus’ plans are for the County Limerick venue, in golfing terms it could point to a potential tilt for The Ryder Cup or a return of The Irish Open in the future. Is an unlikely staging of the PGA Championship outside of the United States likely at Adare? Whatever happens at Adare Manor, which I’m sure will be amazing, I’m just sorry I couldn’t make it to tee it up recently on a golf course that is so close to my heart for one last round! Is JP McManus the new Lord of the Manor? Reports emanating from around Limerick, and particularly from the Limerick Leader, have pointed to the fact that JP McManus has indeed completed the purchase of Adare Manor for a figure in the region of €30 million. 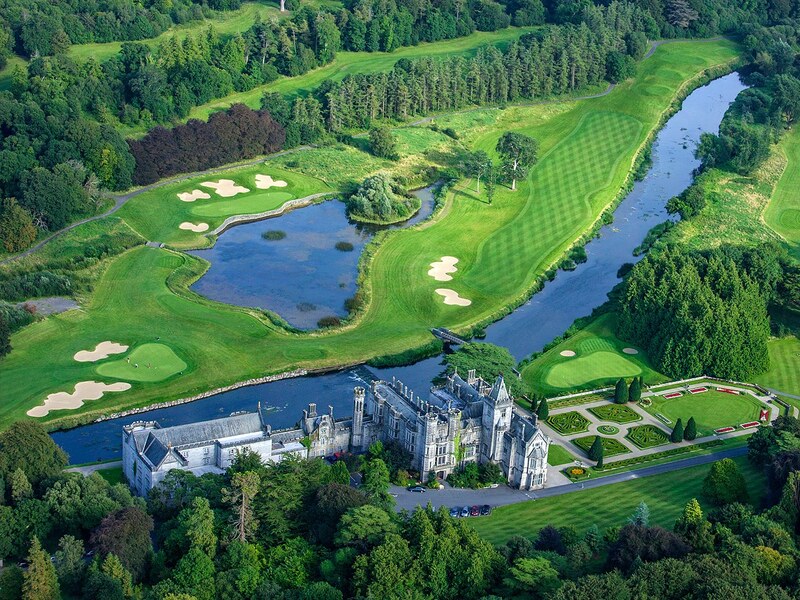 The awesome Adare Manor Hotel & Golf Resort has been up for sale since September, bidding closed on Friday last with a price tag of €25m for the County Limerick luxury resort. 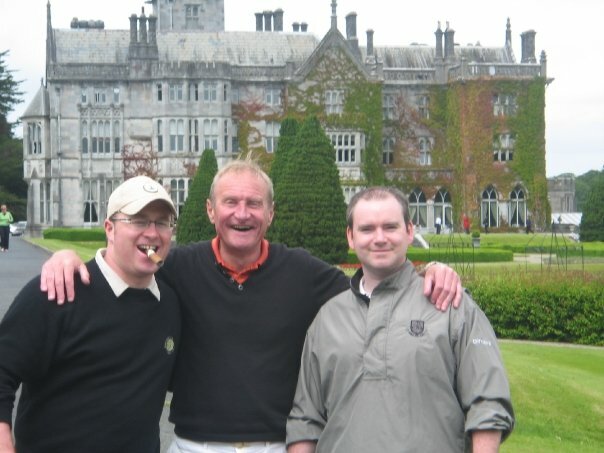 I happened to be playing golf that very day and saw JP on site, he was actually playing golf that day too, and while there were always rumours down the years that he may indeed purchase “the Manor” it is fantastic news for Limerick and definitely for the golfing public as well. 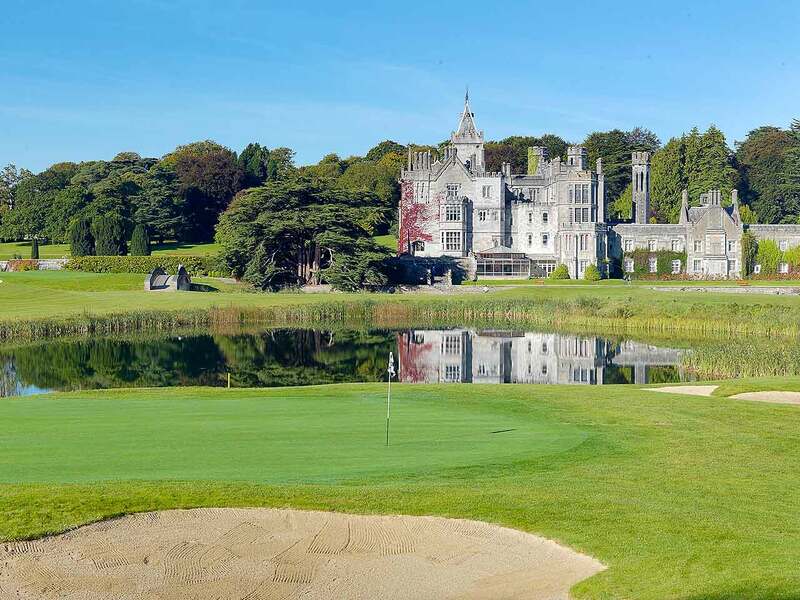 There are definitely going to be ambitious plans for Adare Manor in the future – the return of the JP McManus Pro-Am is very likely and there was always the possibility of a second golf course as there is ample land on the estate. Refurbishments and improvements to the current awesome accommodation offerings at Adare Manor could well be on the cards as well. 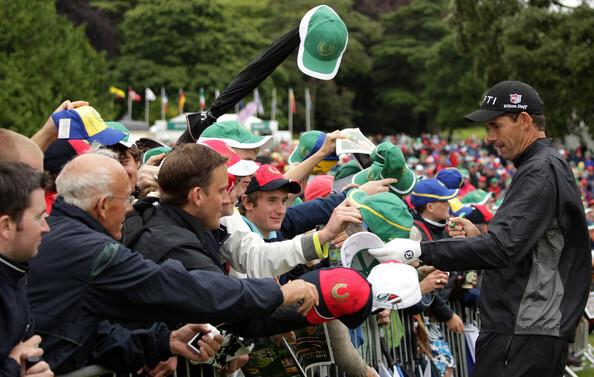 Could a Ryder Cup be headed for Limerick in 2022 or 2026? I think the bid process for 2022 has already come and gone but a course that is good enough to stage 2 Irish Opens, the JP Pro-Am and many other events down the years will definitely be well able to host the best team event in sport! The on-site accommodation and the best parkland course in Ireland along with the village of Adare itself would create an ideal venue and it would fittingly mark the 20-year anniversary of the Ryder Cup first coming to Ireland as well. The hotel was bought back in the 1980s by American Tom Kane who invested heavily in the Resort over the years including the building of the 18-hole Championship course, the last ever designed by the legendary designer Robert Trent Jones Senior, and also the addition of many new hotel rooms, the Townhouses and the Clubhouse, which include extensive bar & restaurant facilities as well. It is great to see Adare in Irish hands now, and even better in the hands of a Limerickman! I’m very much looking forward to the developments out in Adare over the coming months, and years – good luck JP! The awesome Adare Golf Club in County Limerick stages the final qualifying events for its Winter Golf Challenge on Sunday 23rd & 30th March. For an entry fee of just €180 per team of 4 you can play on either date for a chance to return and play in the Grand Final on Friday 6th April. On each Winter Challenge qualifying day 2 teams will get through to the Grand Final in April but you’ve just got 2 more chances to do so! The format is a 4 person team event, stableford scoring, and the team can be mixed. 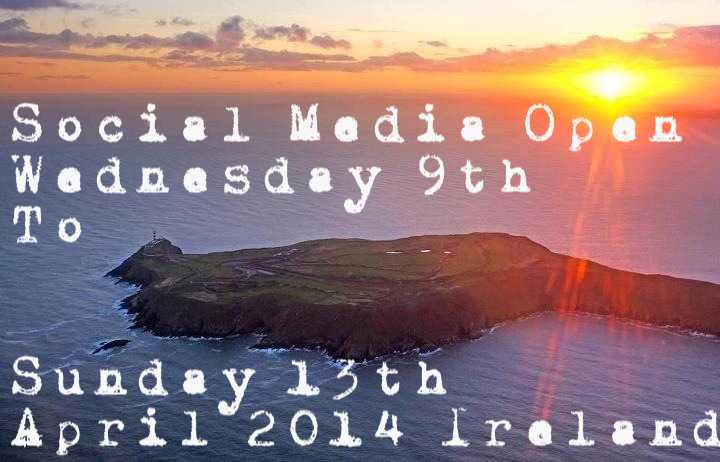 For any enquiries or to book your place call 061-605200 or email golf@adaremanor.com. The team at Adare are very active on twitter as well so give them a follow – Head Pro Gary Howie; Club Pro Mark Collins; Starter Barry Ryan & General Legend Ollie Ryan! Adare is my favourite parkland course in Ireland and with Collins Bar in Adare village beckoning after 18 holes it is one of my favourite places in the World! The greatest players in the World have played here, give it a go yourself and you’ll thoroughly enjoy it.